- the impact of financial crisis on pensions and pension policies (funded by the European Commission under Framework 7 - GUSTO). Noel Whiteside has been a visiting Fellow at the University of Wisconsin (Madison), the Ecole Normale Superieur at Cachan (Paris), the universities of Sydney and Macquarie (Australia) and, most recently, at Columbia University's Institute for Scholars at Reid Hall (Paris) in 2005-6. She was appointed Zurich Financial Services Fellow in 2000 and Fellow of the Royal Historical Society the following year. 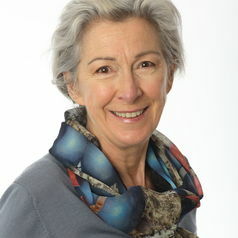 She sits on the Scientific Advisory Board for the Nordforsk programme on Nordic Excellence in Welfare Research (2008-12). She teaches on undergraduate modules Social Welfare in Britain and Creating Social Europe; and convenes MA module Restructuring Welfare States: European perspectives.